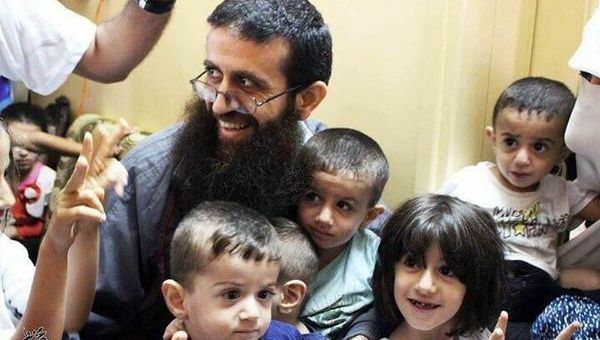 Khader Adnan with friends and family following his release from Israeli detention. Israel released Palestinian activist Khader Adnan from jail on July 12, after holding him for more than a year without charge, TeleSUR English reported. The Bulgarian Prisoners Rights Association (BPRA) has made progress in its attempts to bring due process into Bulgaria's parole laws. Founded in 2012, the BPRA has been represented on a Ministry of Justice working group on prison reform since May. Their representative is Valio Ivanov, who was released from Sofia Central Prison in February after serving 22 years — 20 in solitary confinement. Ivanov succeeded in getting the working group to recommend changes in parole laws, BPRA chairperson Jock Palfreeman told Green Left Weekly. Loyalists rioted on July 13 in north Belfast, Irish Republican News said. The loyalists — largely anti-Catholic supporters of Britain's ongoing rule over the six counties in Ireland's north — drove a vehicle into residents in the predominantly Catholic and Irish nationalist Ardoyne area, seriously injuring a teenage girl. Sinn Fein leader Gerry Adams, writing for his Leargas blog, has warned that the 1998 Good Friday Agreement that formally ended more than two decades of armed conflict in the six counties in Ireland's north still claimed by Britain, “hangs by a thread”. British unions slammed the ruling Conservative Party on July 15 for introducing a bill derided as the biggest attack on worker's rights in decades, TeleSUR English said that day. The government's new Trade Union Bill would impose a slew of new regulations on unions, including new voting thresholds for strikes. At least 50% of members would need to cast a ballot for a strike to move forward. Now, unions only need to secure a simple majority of votes for a strike to be valid. European countries have been indirectly contributing to massive human rights violations and heavy environmental damage in the Central African Republic, an investigative report by Global Witness, released on July 15, revealed. The world’s largest social movement, La Via Campesina, has slammed the power of transnational companies for undermining democracy and stifling people’s voices on a global scale. The group, which represents more than 200 million farmers and rural people worldwide, said the interests of large corporations increasingly dominate international decision-making processes and policies. 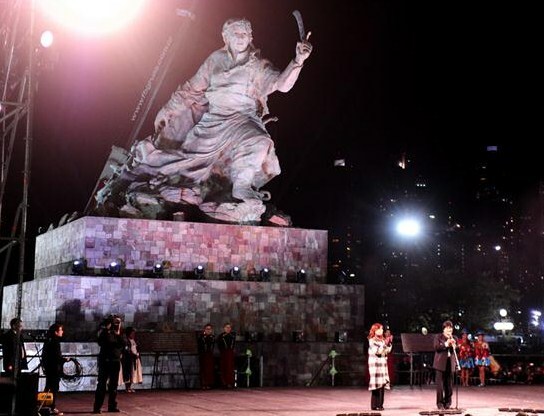 Unveiling of monument to Juana Azurduy.